For a short period c1865-72, there was a station or halt known as "Stony Hill" in this area. In the 1930s Blackpool Promenade and Promenade tramway was being extended to Squires Gate and the dunes lying inland at South Shore were being levelled to create a large residential area. In addition there was a large holiday camp nearby. This necessitated a new station at Squires Gate. 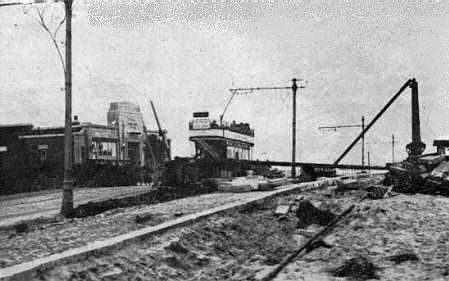 The newly constructed Squires Gate Railway Station c1932. 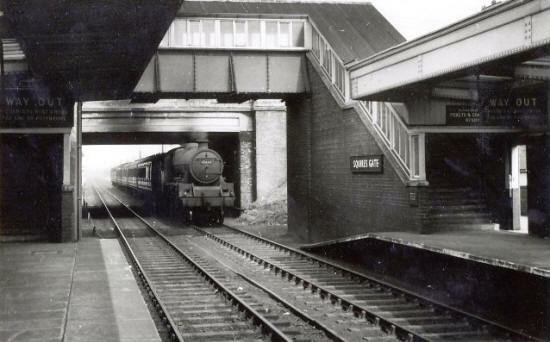 In the 1930s, Squires Gate Bridge was widened to 60 feet and a new railway station constructed.